Many nations have legends which say that a hero will return to save the day at a time when he or she is most needed. Even tiny Denmark has this type of legend with a hero named “Holger Danske.” He is the Danish version of a tale of chivalry that was once popular throughout northern Europe. The story, which may have its roots in the story of a Viking hero named Oddgeir, tells us of an almost invincible hero who will save Denmark from peril. With such a background, it’s not surprising that one of the leading resistance groups in Denmark during WWII took its name from this ancient hero. 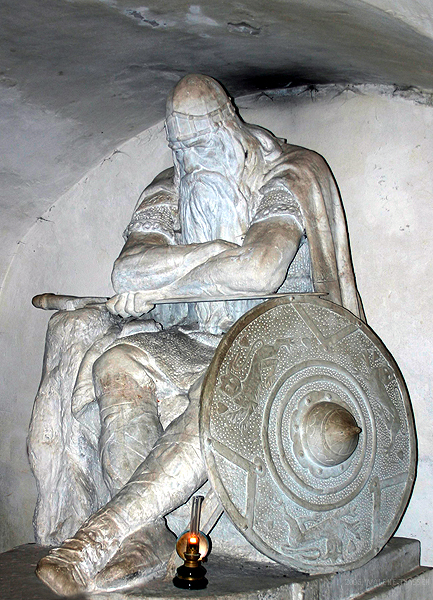 Holger Danske, the resistance group, took part in all sorts of underground activities during the war: sabotage, intelligence gathering, communicating with the Allies, and carrying out assassinations. Like many of the other nations conquered by Germany, Denmark had its share of collaborators. 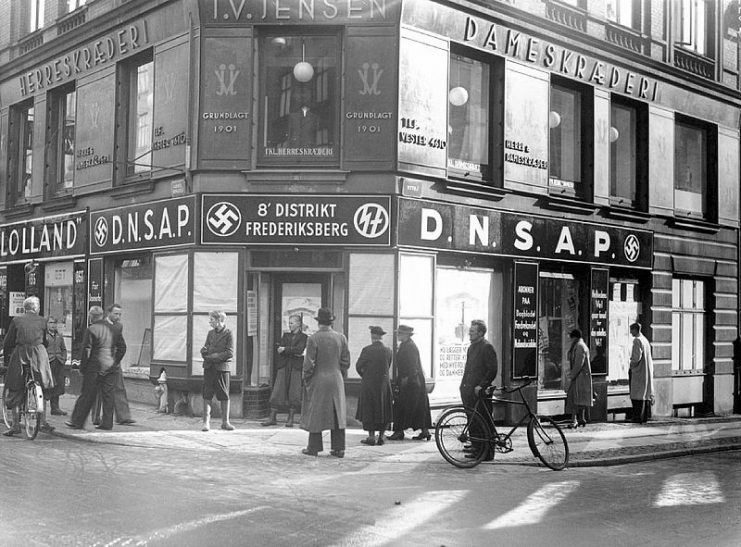 Before the war even began, there was a small but influential Danish Nazi party, the DNSAP (Danish National Socialist Workers Party). 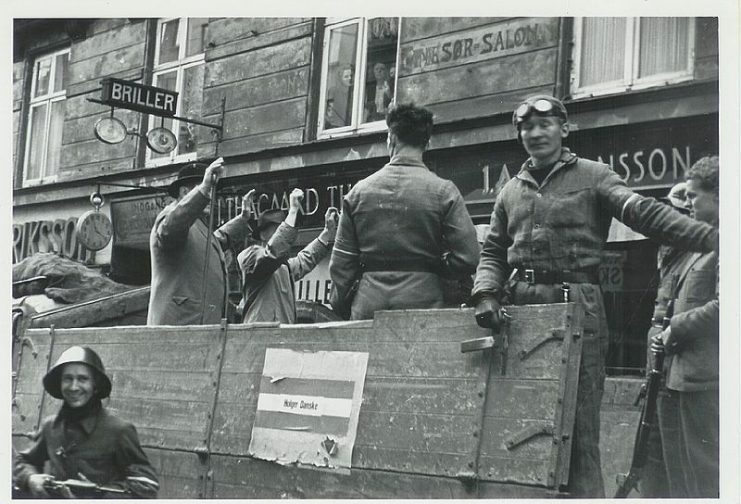 After the occupation, many of the party’s leading figures were put in charge of a collaborationist government, which was given a slightly freer hand than other nations taken over by the Füherer. 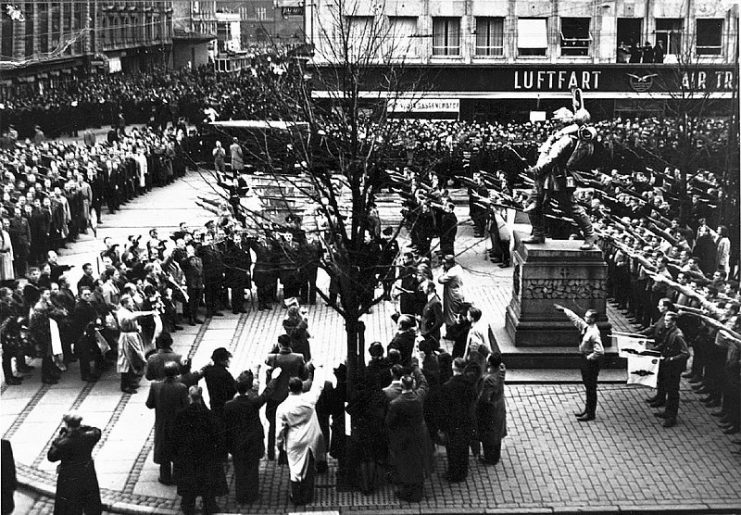 Hitler believed that the Danes, being so close to Germany and with such a small population, would be eager to toe the Nazi line. And, of course, there were Hitler’s beliefs that, as a Germanic people, the Danes should be treated “better” than those of other subjugated nations. That didn’t mean that Denmark was free of the Gestapo, the SS, or the Wehrmacht. It did mean (generally) that those organizations trod a bit more lightly than in, for example, Poland. However, “treading lightly” for the Nazis was still heavy-handed by the standards of the rest of the world. The Danes, like many others, did not like to be told what to think, say, read, or do, no matter how “politely” they were asked. When the Germans began rounding up the Jews in Denmark, Danes of all political stripes organized a flotilla that managed to get the vast majority of Danish Jews to neutral Sweden. When the Germans outlawed unions, persecuted communists and leading politicians took over newspapers, and the Danes began to form resistance cells. Unfortunately, many Danes sided with the Germans. A few thousand young men volunteered for the Waffen SS and fought at the front for Hitler. Others collaborated politically. Many of the pre-war Danish Nazis joined the police, helping the Gestapo track down those opposed to Hitlerism. It was these collaborators that Holger Danske hated the most and who were their targets for assassination. Among the members of Holger Danske were Bent Farschou-Hviid and Jørgen Haagen Schmith, better known by their code-names “Flammen” (“Flame”) and “Citron” respectively. Farschou-Hviid got his nickname from his bright red hair, which he seldom hid – he wanted collaborators to know what was coming. 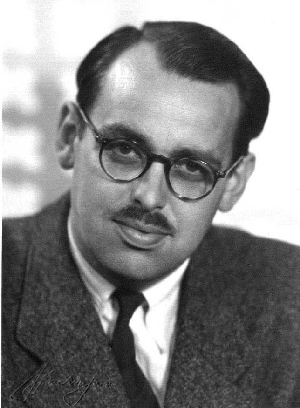 Haagen Schmith was called “Citron” because in June 1943 he sabotaged a Citroën garage in which six Germans cars and a small tank were parked. Flame was the son of a wealthy hotel owner and was a rebel from a young age. When he got a gun for his ninth birthday, he shot off the hotel weather-vane. His father was an admirer of Germany and sent the young man for training in the hotel business to an associate in German which was, by this time, under Hitler’s rule. There, Bent’s intense hatred of Nazism was born. He saw war coming, and when he returned to Denmark, he joined the navy. Just before the German invasion, his shooting practice on his father’s property paid off – he was the Navy’s “marksman of the year.” When war broke out in 1940, Flame was nineteen years old. He was a good shot who nursed a hatred of the Germans. 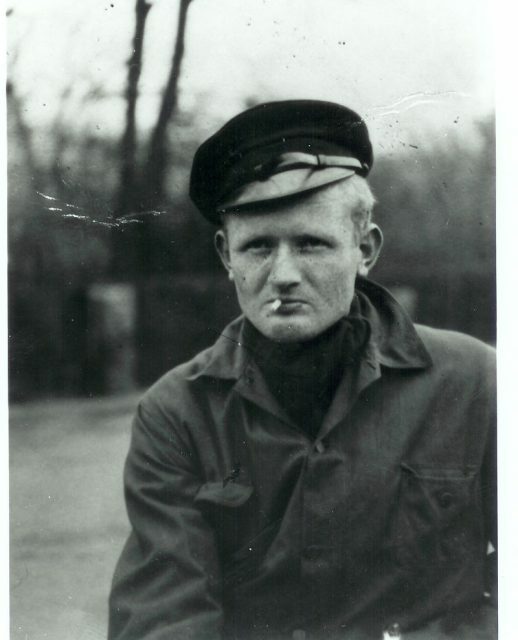 Bent Faurschou Hviid, code name “The Flame,” member of Danish resistance group Holger Danske. Citron, Jørgen Haagen Schmith, was ten years older than Flame. Where Flame hated his father, Citron’s died when he was a baby. His mother had three other children and barely kept them fed on a pension. From a young age, Citron was fascinated with the theater and entertainment. Like Flame, he hated authority, people telling him what to do or think. His own family virtually disowned him for this rebellious attitude. He married a younger woman and had a child, but both his nature and the war doomed their relationship from the start. For both of these rebels, the war gave them something to fight back against. The Germans were bad enough, but for them and others in Holger Danske, nothing was worse than the Danes who joined the Germans. Flame rapidly established himself as a cold-blooded killer, and Citron was often his “wheel man.” Though no one is completely certain, it seems that Flame killed over 20 collaborators and Germans during the war, most of them up close and personal, some of them in broad daylight, his red hair obvious to all. Despite his shock of red hair, it took the Germans some time to track Flame down. As a matter of fact, they actually had him (and Citron) in their hands one day and didn’t even know it. On September 19, 1944, Flame and Citron had disguised themselves as Danish policemen. 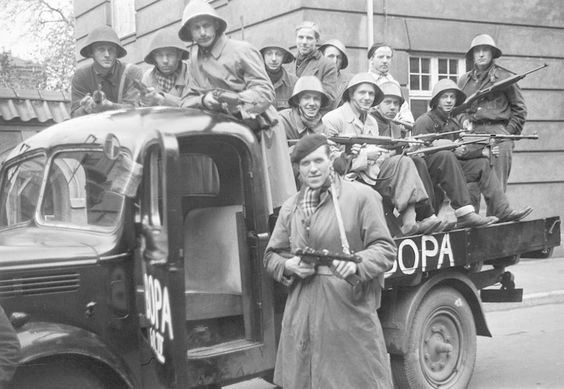 That day, the Germans decided to round up the Danish police – they believed there were resistance members within. Afraid they would be recognized, the pair took off running. Citron was shot in the leg but managed to get away with the aid of a sympathetic ambulance driver who happened to be passing by. Flame managed to escape safely. 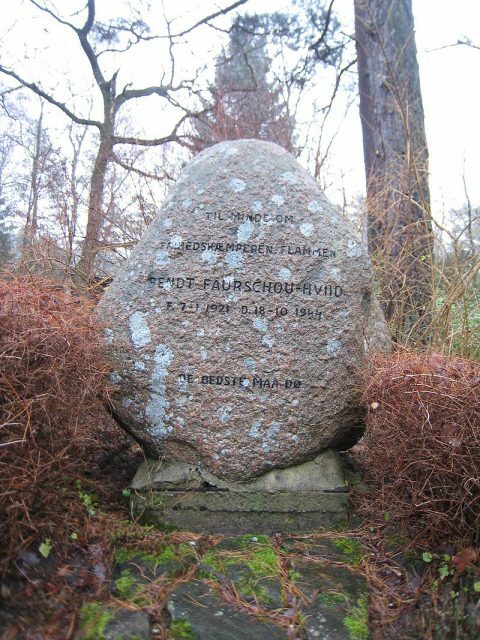 Knowing that the Gestapo was after them, the two men sought safe-houses: Citron in Copenhagen and Flame at a home in Jutland (the Danish mainland which borders Germany in the south). Flame had left all of his weapons at Citron’s safe-house. As a result, he was unarmed on the evening of October 18, 1944, when the Germans interrupted the dinner he was having with his landlady and other tenants. Hearing the Germans at the door, Flame ran upstairs, hoping to get away via the roof, but he saw that the entire house was surrounded. Rather than risk divulging what he knew under the torture he knew was coming, he took his own life with the cyanide capsule that had been supplied by the resistance. At almost the same time, the Germans showed up at Citron’s safe-house in Copenhagen. He put up a valiant one-man stand, holding off the Germans for hours, using machine guns and grenades. Citron, who looked every bit the typical middle-class husband on the outside, fought like a lion. He killed eleven Germans and wounded many others. Finally, the Germans set the house on fire, flushing Citron out and cutting him down as he exited the building. In 1951, US President Harry Truman posthumously bestowed the Medal of Freedom on the pair. The medal recognizes acts of bravery by persons not in the US military. In Flame and Citron, Holger Danske had indeed come alive again. In 2009, the movie Flame and Citron was released, the most expensive movie ever made in Denmark. Based on their story, it is very definitely worth watching.